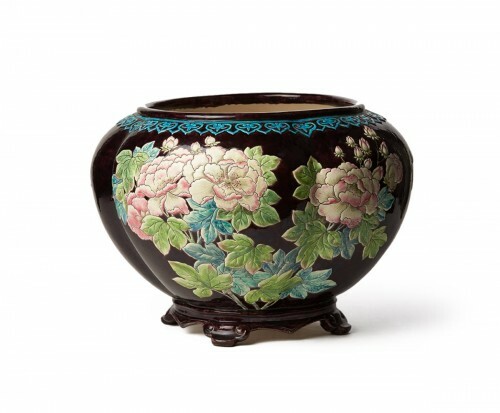 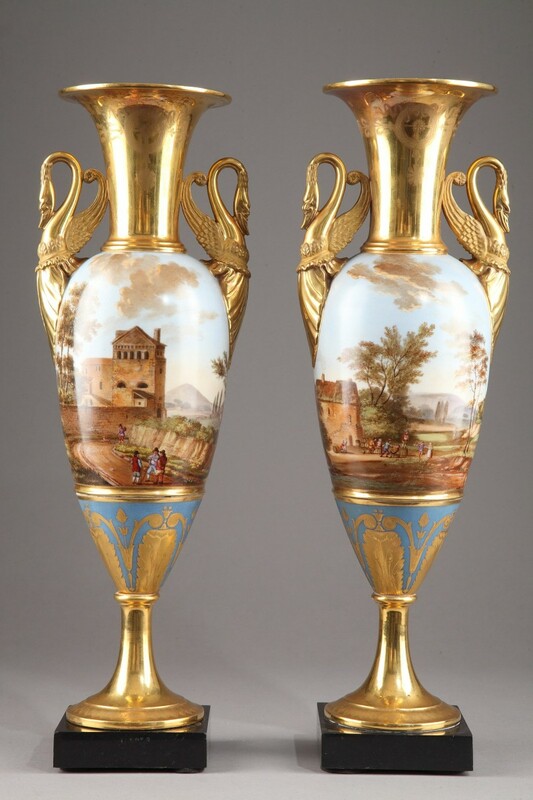 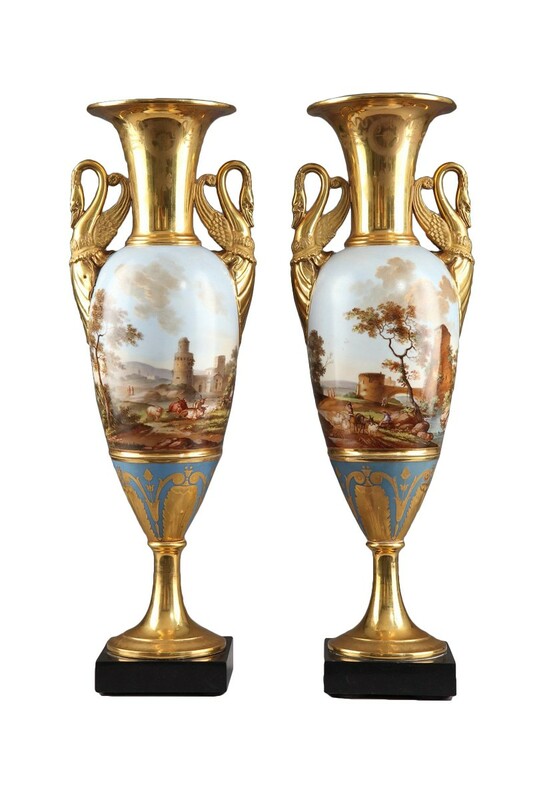 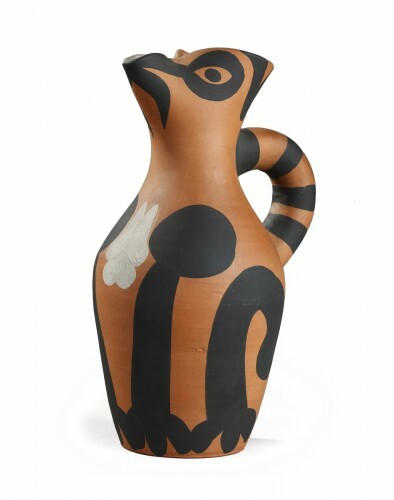 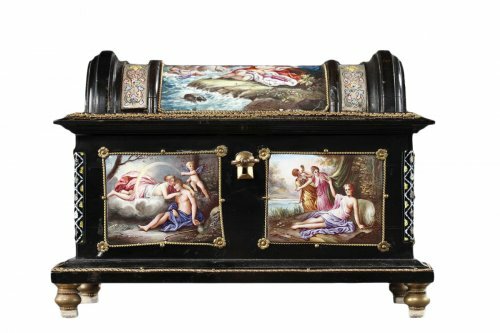 Large pair of painted fuseau vases in Porcelaine de Paris from the Empire period. 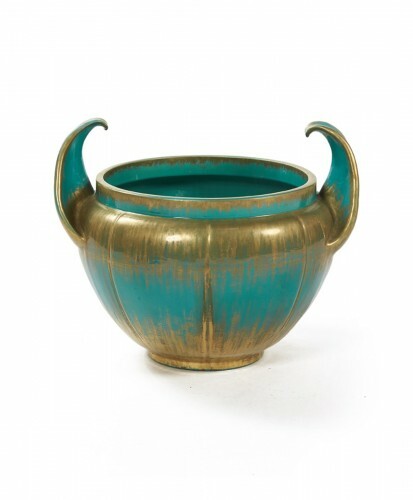 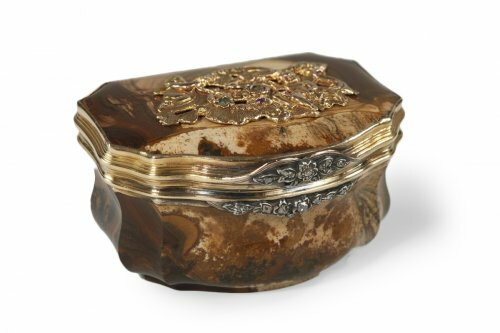 The neck and the pedestal of the vases are in burnished gold and feature laurel crowns and stylized palmettes. 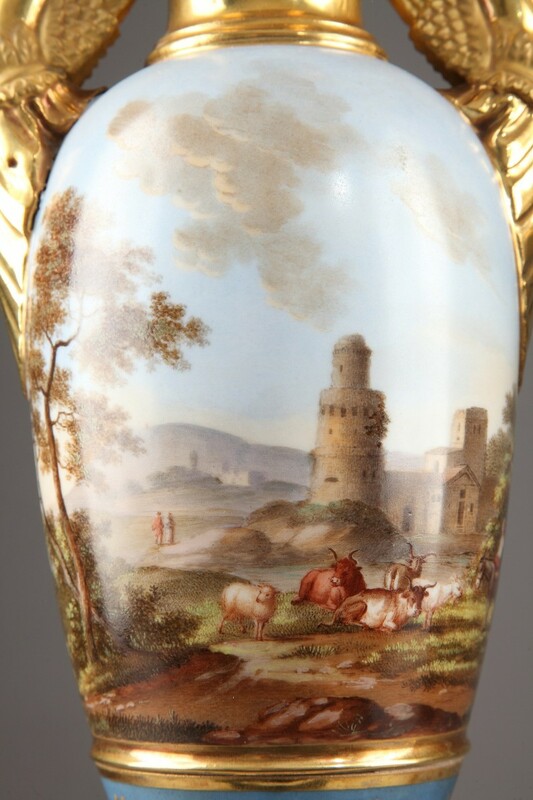 The paunch of each vase is embellished with a picturesque scene: one features a herd of cows passing near a river with a tower behind them, and the other displays a herd of sheep lead by a shepherd near a bridge. 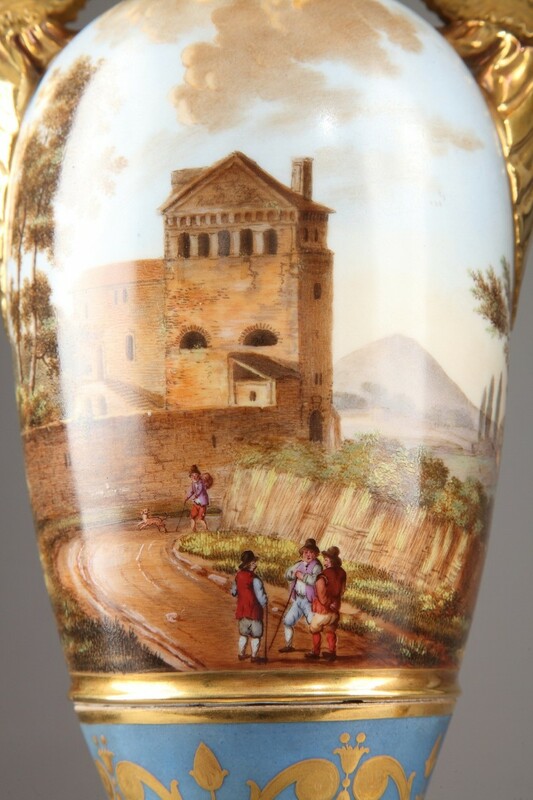 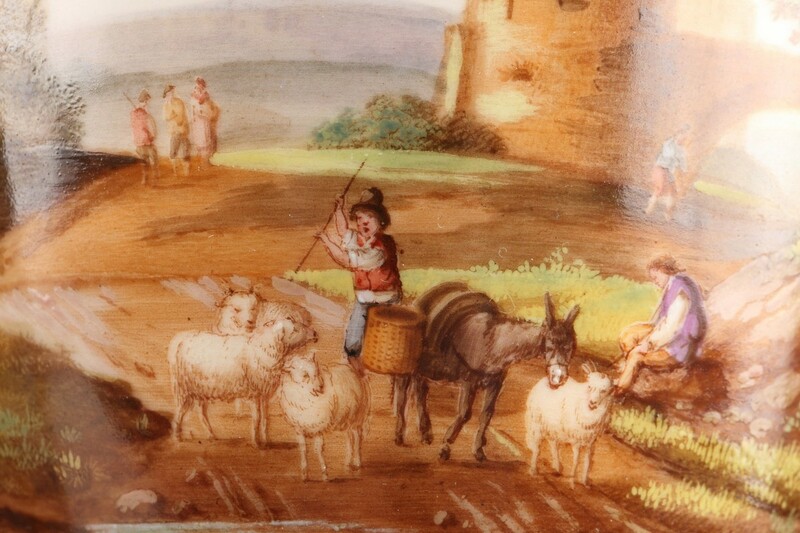 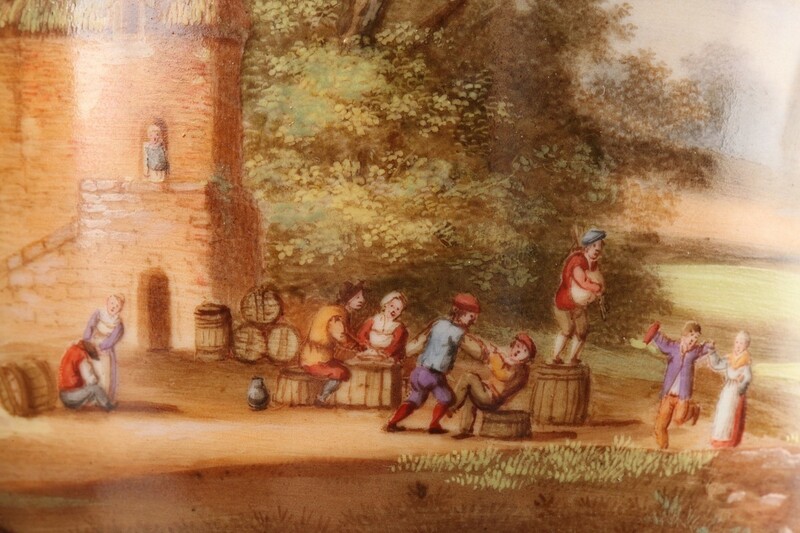 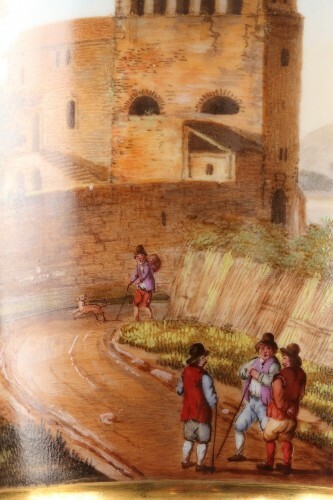 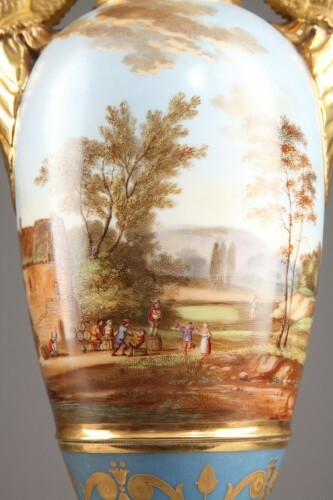 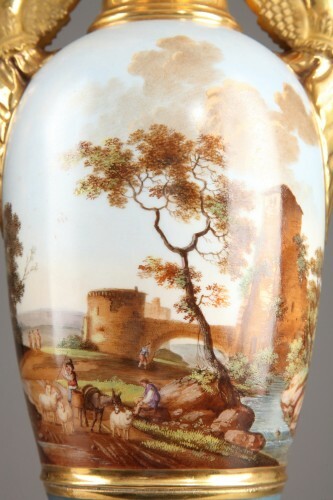 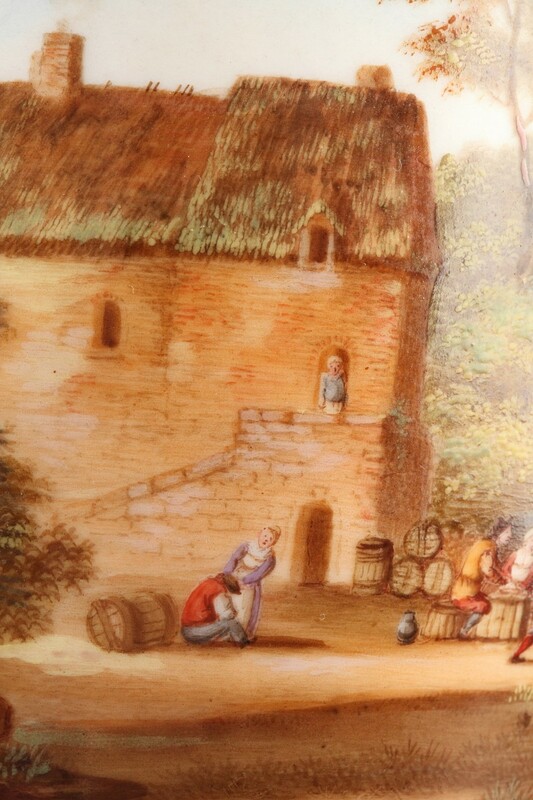 On the back, one of the vases shows a large Roman-styled building with men in the foreground, and the other features a jubilant scene in a bucolic landscape. 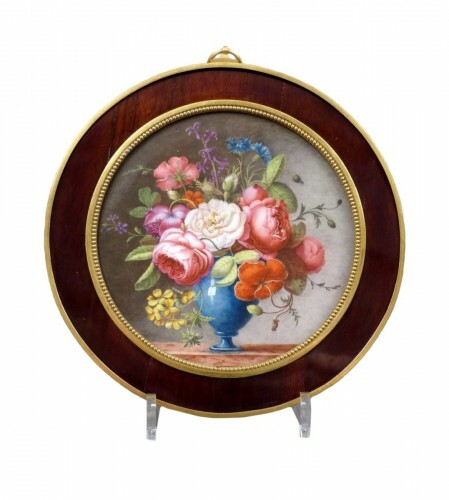 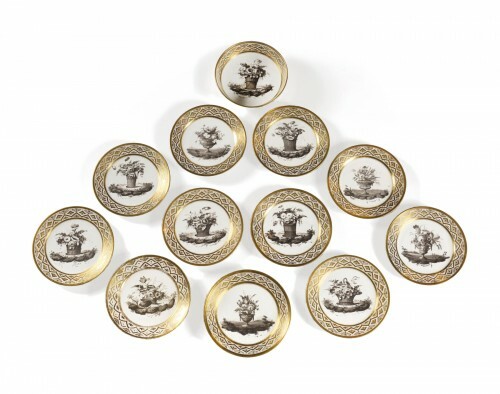 These scenes are accented underneath by acanthus leaves in gold set on a matte blue background. 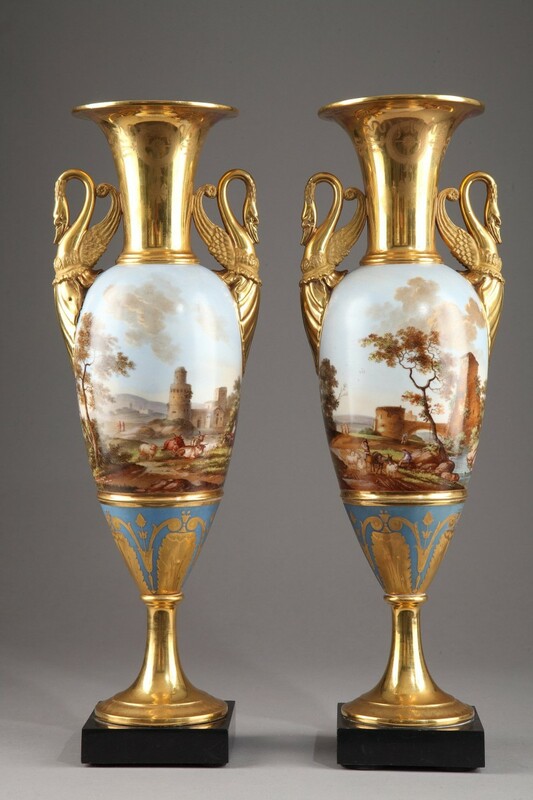 Swan heads that reach from the paunch to the neck are set on the sides of the vases to serve as handles. 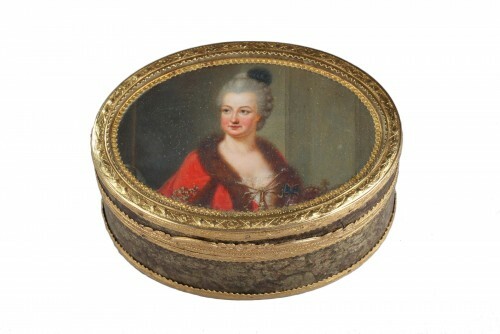 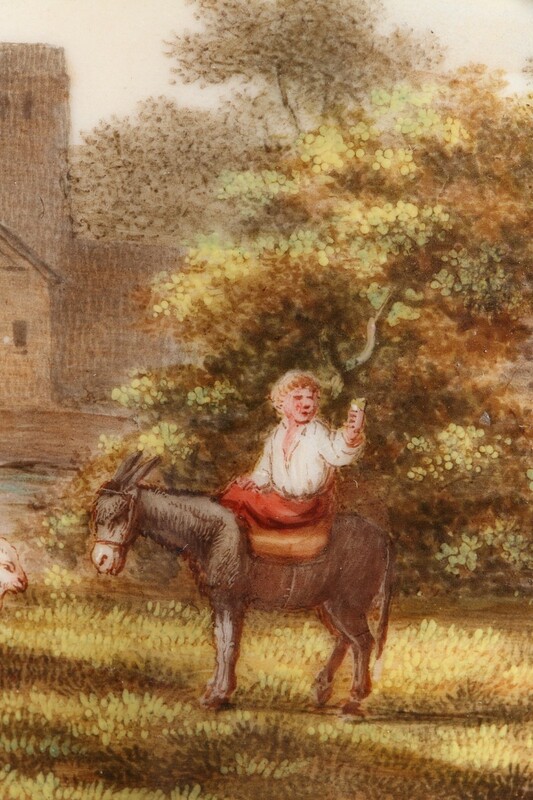 Early 19th century production. 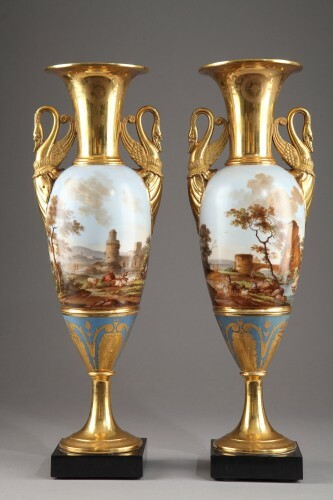 French Empire period. 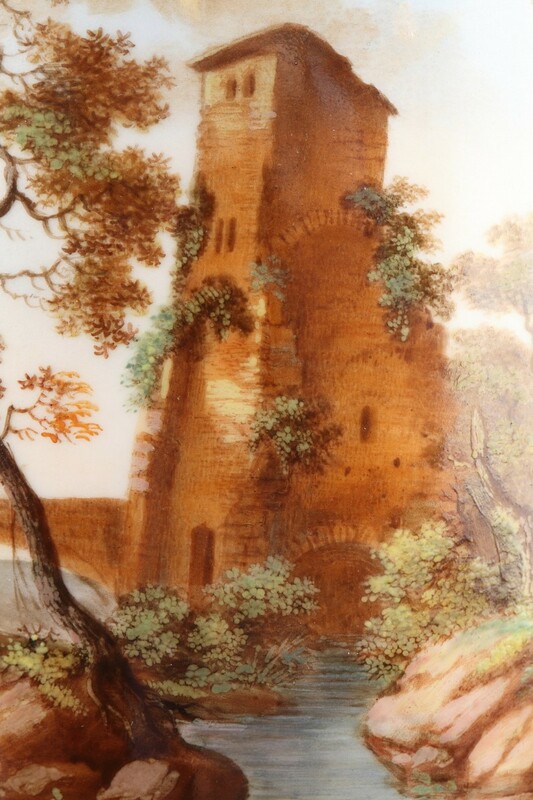 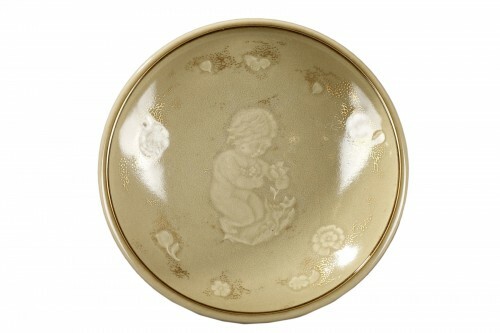 Circa 1810-1815.